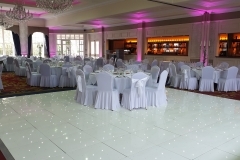 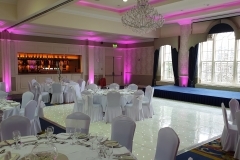 We are delighted to offer you a stunning 20x20ft Sparkle Dance Floor for your event. 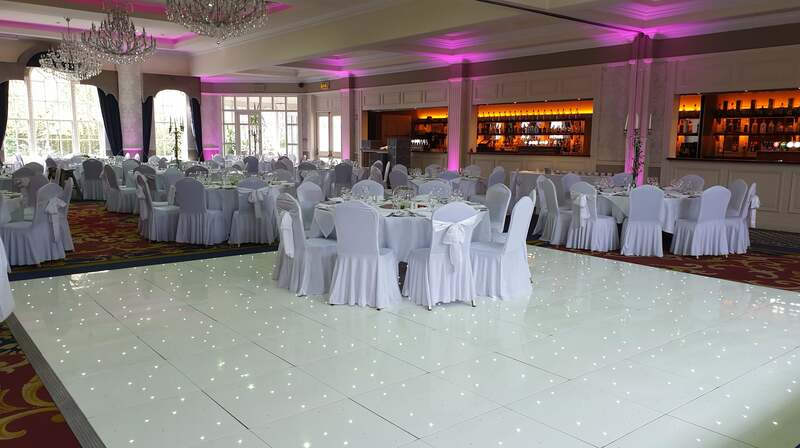 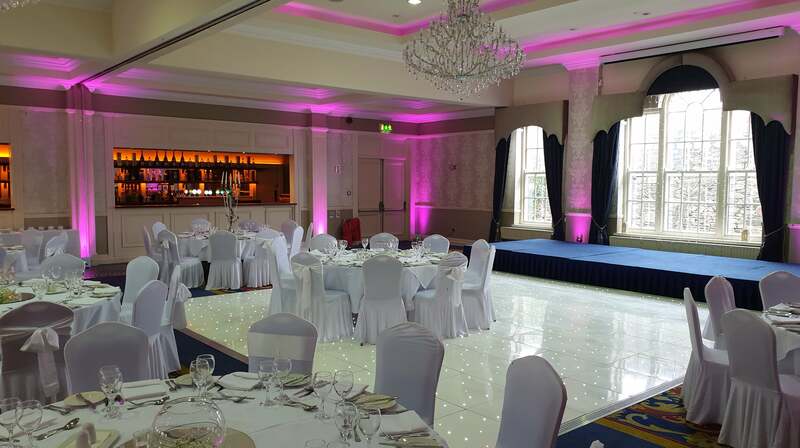 Carolyn’s Sweets are one of just a few companies in Ireland that hire fully wired LED dance floors. 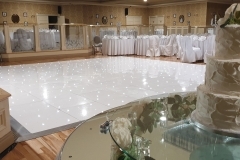 Wired dance floors offer a more reliable contact, ensuring that the floor stays lit during your entire event. 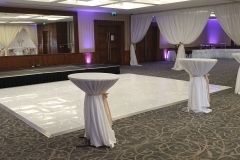 These can be slightly more expensive but trust us there is nothing worse then having photos taken and you see panels not working while people are dancing on the floor. 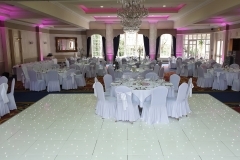 Although the most popular size is 20x20ft we can offer different sizes to suit your venue. 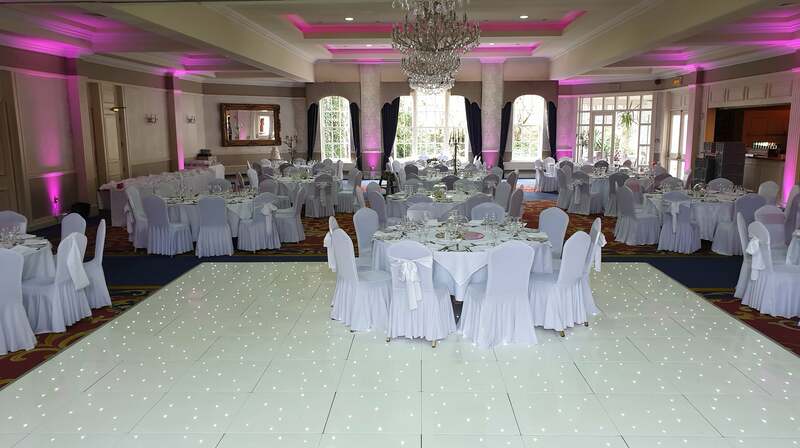 Why not add a Fairylight Backdrop, Top Table Skirt, Cake Table Skirt or Room Uplighters?